Minimum quantity for "NEHRP Seismic Design Technical Brief No. 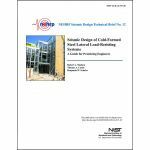 12: Seismic Design of Cold-Formed Steel Lateral Load-Resisting Systems, A Guide for Practicing Engineers" is 1. 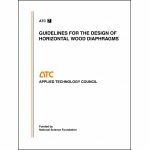 Minimum quantity for "Simplified Seismic Assessment of Detached, Single-Family, Wood-Frame Dwellings" is 1. 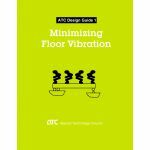 Minimum quantity for "Protocol for Fabrication, Inspection, Testing and Documentation of Beam-Column Connection Tests and Other Experimental Specimens" is 1. This report documents identification of critical deficiencies, refinement of the list of common deficiencies, and development of collapse mitigation strategies for older reinforced concrete buildings. Minimum quantity for "Review of Past Performance and Further Development of Modeling Techniques for Collapse Assessment of Existing Reinforced Concrete Buildings" is 1. Minimum quantity for "NEHRP Seismic Design Technical Brief No. 4: Nonlinear Structural Analysis for Seismic Design, A Guide for Practicing Engineers" is 1. This report outlines a comprehensive, long-range Nonlinear Analysis Research and Development Program. Minimum quantity for "Nonlinear Analysis Research and Development Program for Performance-Based Seismic Engineering" is 1. 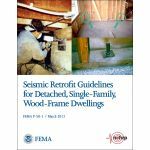 Minimum quantity for "Seismic Retrofit Guidelines for Detached, Single-Family, Wood-Frame Dwellings" is 1. 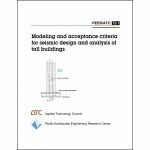 Minimum quantity for "Modeling and Acceptance Criteria for Seismic Design and Analysis of Tall Buildings" is 1. Minimum quantity for "NEHRP Seismic Design Technical Brief No. 9: Seismic Design of Special Reinforced Masonry Shear Walls" is 1. Minimum quantity for "Guidelines for Seismic Design and Construction of Single-Story Masonry Dwellings in Seismic Zone 2" is 1.